This is a tough one. Not so much a rant this time as it is a continuing mind-bender that, for me at least, has no solution and never will. It also comes with this caveat: I am a white male. The vast majority of parts written are written for guys like me. This we know. The trouble we run into is that some works of theatre, film and TV really do require a certain race or gender to be cast in certain roles. They just do. Max in Bent kinda HAS to be a white male. He just does. The whole point of Troy Maxson in Fences requires that an African American male take us on that journey. And here's the part that is hard for me to parcel: Color blind casting only goes one way. Which really means it's not really color blind. Seems kinda like affirmative action for actors. Now, I am NOT suggesting we do away with affirmative action. I'm just saying that with actors, with the theatre, with all things of a creative nature, it seems like it should be different conversation. It just seems like we shouldn't even be talking about it. 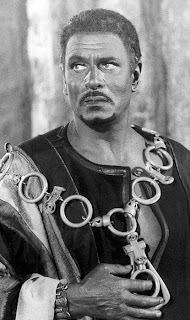 Of course, we can mount an Asian version of a Tennessee Williams play; Of course, James Earl Jones can play King Lear; Of course, Lawrence Olivier can play Othello; Of course, Macbeth can have an integrated cast. 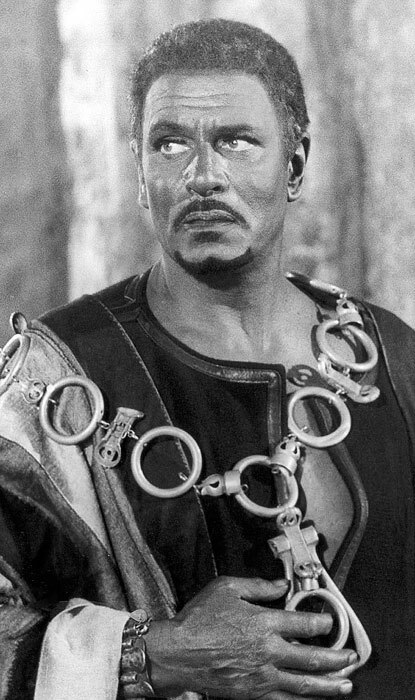 Let's face it, casting Shakespeare plays with multi-racial casts is old news. Adrian Lester is the latest in, relatively, short list of actors of color to successfully deliver the bard (http:d.pn/fNmsCS). Even the histories are less about the actual people of history as they are the bigger issues and themes that have resulted in the passage of time. It's when we start to approach non-Shakespearean classics and contemporary works (okay, basically everything NOT Shakespeare) that we seem to get wrapped around the axle. I think the answer lies not in trying to force race and gender issues for their own sake, but to create more diverse properties in the first place. (Tyler Perry productions are not my cup of tea, but you have to admire the fact that he is writing and producing specific new material for black actors and a particular audience. Barring a floodgate of "diversity projects" all of a sudden getting green lighted in Hollywood or produced in regional theatres nothing will change, I fear.) If we can't do that then we just perpetuate the problem. In an opening night speech by Des McAnuff, the artistic director hit the nail on the head. And while he was talking about Canada, it remains true for us in the lower 48, "Ours is a multi-racial society ... If our audiences can’t find their own reflections on our stages, as Shakespeare’s audiences did on his, we cannot possibly claim to be speaking to Canadians [or society] today. What if we didn't worry about "non-traditional" casting and just worried about "casting?" You know, acting school style.What if we were to cast our shows with the best actors that came to the audition? I know, I know, the wheels would fall off of Hollywood and dozens of agents would be unemployed and casting directors would actually have to learn something more about acting than shirt size and hair color. But what if? Addendum: Here's another take that's pretty good, too. A short article by Phillip W. Chung.